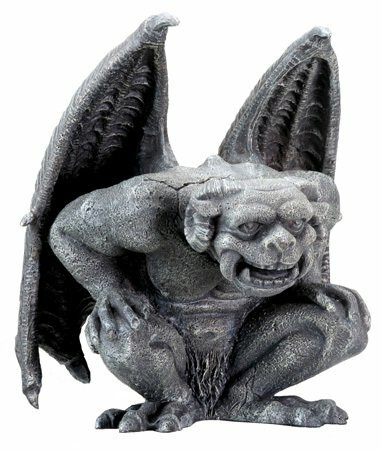 If you have a fancy for everything monstrous, get a gargoyle statue for your home or office. The gargoyle was primarily used in architecture to serve as a spout to throw away rainwater from a building. 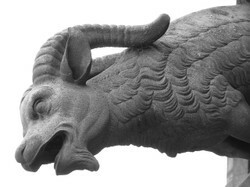 These grotesque creatures were usually carved out of granite and were quite useful in minimizing damage to the roof of a building from a rainstorm. Along with diverting rainwater, this sculpture was also used by churches to scare people and make sure they stayed away from evil. 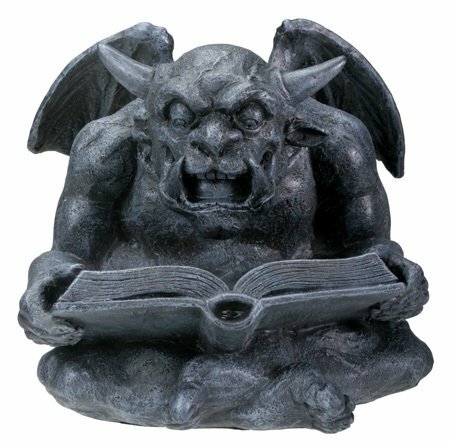 Basically, these creatures were meant to tell the illiterate people that if you don't go to church or indulge in evil behaviors, the gargoyle will get you. Some people even used the gargoyle as a way to ward off evil spirits and bad luck. Yes, the creature may be grotesque but it can help keep you safe too. However, these days, gargoyles have basically become ornamental and people often use these as a decoration item in their homes or lawns. So, if you are fond of this little monstrous creature, why not pick one for your home too. Take a look at some fantastic gargoyle sculptures right here. Let the creature roar and scare away all the evil from your house and family. Take a look at this sitting gargoyle ready to scare away all your enemies. These beautiful pieces of sculpture have the finest craftsmanship. Just place it on your work desk or on a table in the corner of the room. Let this almost sweet-looking monster act as a guardian angel for you. 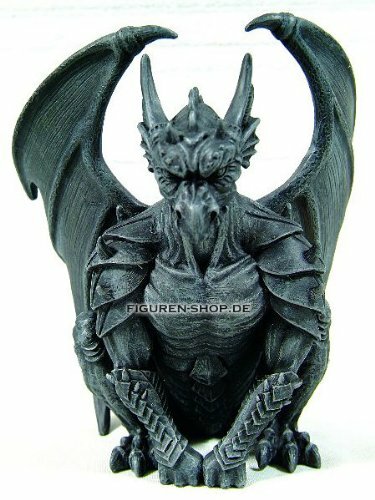 This scary gargoyle is meant for your walls and not for your desk. It is about 13 inches long and you just need to hang it on your doors and walls. It is enough to scare your enemies into believing that you have a creature climbing up your wall. Be scared and stay away. 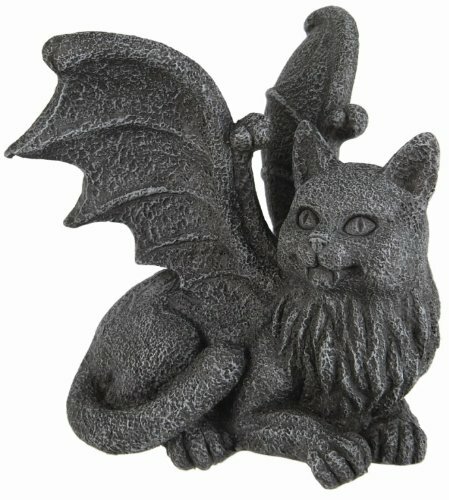 If you love your cats and like your gargoyles, buy this one. This cat gargoyle can sit on your computer monitor watching over you as you work. Or just place this 4 inch tall sculpture made of cold cast resin on a book shelf. Around six inches tall and five inches wide, this one has your favorite monster reading some very interesting book. Place it on your book shelf or coffee table and allow it to read to you about the magic of demons. These are only a few of the numerous ways you can make the gargoyle a part of your family. 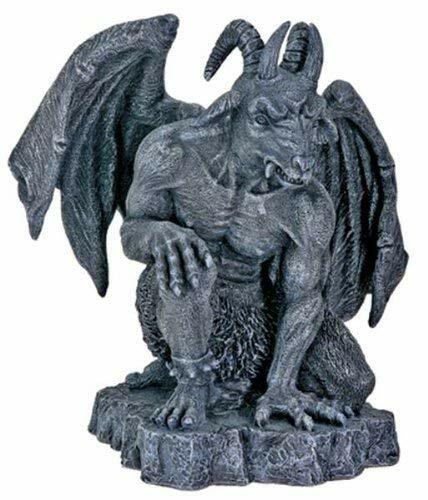 Besides these grotesque statues with beautiful details, you can even buy belt buckles, candle holders, pen holders, and tables that incorporate the gargoyle into your home decor beautifully. So, if you are fond of the macabre and like demons more than fairies, it is time to get one for your home or office. You surely won't regret it. Looking for some beautiful figurine gifts for the holiday season? Check these out and choose the one that you like best. Whether you are looking for a romantic gift for your partner or just want to add that touch of love to your home, a Cupid statue can be the perfect choice. Looking to add a new sculpture to your beautiful home? Then why not try out some of these Indian statues. Christmas is a time for family and happiness but your kids always take precedence. Take a look at some wonderful Christmas ornaments which will be perfect for the children.